I spent a very pleasant and somewhat embarrassing hour (good grief, did I really say those things?!) yesterday as the guest of Beyers Sellers (aka Robert Bloomfield) on his seminal show Metanomics, which usually focuses on topics revolving around business and economics in virtual worlds. You can see the interview here. Robert is a Professor of Accounting at Cornell University’s Johnson Graduate School of Management. He wears a lot of other hats, too. He just stepped down as the Director of Graduate Studies in Management (the doctoral program), which he held for a long time. He is the Director of the Financial Accounting Standards Research Institute, an effort of the Financial Accounting Standards Board , and Director of the Business Simulation Laboratory for the Johnson School. Of course, he also hosts Metanomics. Robert closed the show with a weekly segment he calls "Connecting the Dots," and it gives me great pleasure to share what he had to say yesterday with you here. I have had a number of people wonder why my business-oriented talk show would host Bettina Tizzy, leader of NPIRL. One straightforward answer is “art is business, too.” But let me go a little further…. A few weeks ago, I had the good fortune to attend a talk by then Linden Lab President and still Chairman Philip Rosedale, who was speaking at San Jose’s Tech Museum. Naturally, I was in my office here in Ithaca, participating virtually from Second Life®. During the Q&A, I asked Mr. Rosedale why so much of the content in Second Life looked just like real life. He responded by saying “people covet what they know.” He then pointed out that everyone knows Malibu from TV and wants to live there, and that’s why so much of Second Life looks like Malibu. Well, let’s leave aside the humor value of a top executive channeling Hannibal Lector from Silence of the Lambs. Or that Second Life looks to me a lot more like Ithaca, New York than California. 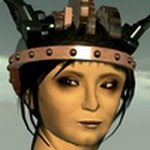 Instead, I want to emphasize that the real reason we see so much of real life in Second Life is that it’s easier to remake the familiar than to come up with something new. And that is going to pose a real problem for the virtual world industry, because doing something new is what successful industries do. Doing what didn’t seem possible before. Call it the art of the impossible. Doing the impossible requires technological innovation, and we are seeing lots of that in the virtual world industry. Every day, on websites like Virtual Worlds News, we see stories of jawdropping success stories, like the ability to move your avatar with your mind—my favorite story of the week, courtesy of Drexel University. The rate of innovation convinces me that it won’t be long before we can use virtual worlds for education, for the distributed workplace, for entertainment, for online shopping. Frankly, I’m not too worried about the technology. I’m more worried that we won’t be able to do the impossible with that technology. We have to learn how to use virtual worlds to compete against more traditional ways of doing the same thing. As Christian Renaud has said to me several times, why make virtual collaboration just as effective as face-to-face when we can make it so much better? What is the best way to conduct a virtual meeting? How can we use 3D visualization tools to communicate information in ways that flat screens can’t? How do we teach a class, or reach out to customers, better than with a classroom or a web survey? If we are going to do something better than real life, we are going to need people who are trying to do the impossible with the tools they have today. That is what successful industries do. And that is why I am so glad to be celebrating the first birthday of NPIRL by having its leader, Bettina Tizzy, on Metanomics. Second Life definitely has so much creative potential. I think that what both Beyers and Bettina are doing is fabulous, and I tell people in RL about them and their work as frequently as I can. Tomorrow will be one of those days--I'm giving a talk at NSF/DUE on Social media. 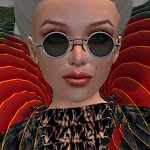 Second Life and some of it's luminaries will be featured. I think that they will be getting a lot more proposals with a Second Life component fairly soon. Yesterday I saw (in SL) and read about (on their webpage) an example where having at least "some" realistic looking college campus buildings might be reassuring for students at first. Rising gasoline prices are driving up the enrollment in distance learning programs, but a student who had recently graduated with a BA commented that she had only set foot on the real-life campus once--when she originally enrolled. Getting acclimated in SL can be challenging, and having something familiar to relate to in the early days can be comforting. And though I love the NPiRL builds, I also love virtual travel to exotic (recreated) parts of the real world for music, shopping, and socializing with the natives. I can go a lot more often and spend much less money on the experience! Watching from the audience, I thought you were a great guest, Bettina. Your responses were interesting, informative and lively.